Directed Charlie Bean (Tron: Uprising and Robotboy TV animated series), Paul Fisher and Bob Logan and co-screenwritten by Fisher, Logan and four more other people, The Lego Ninjago Movie is based on a toy line about six teenage ninjas who’re trained by Master Wu (Jackie Chan) to protect the titular city from being conquered by the protaginist Lloyd / Green Ninja’s (Dave Franco) evil father Lord Garmadon (Justin Theroux). 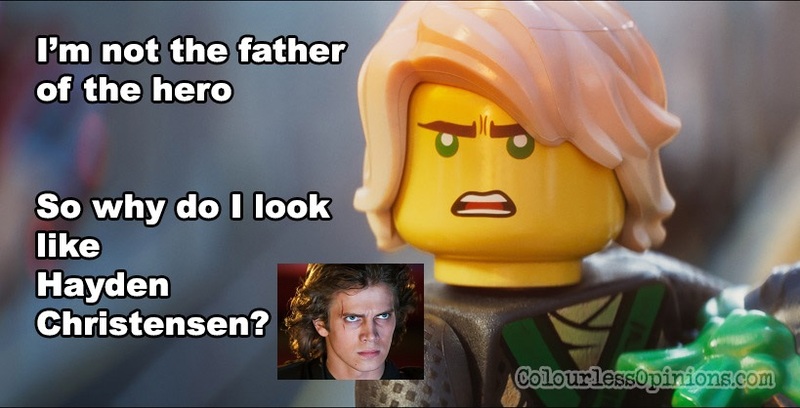 After the massive success of The Lego Movie (2014) and The Lego Batman Movie (2017), this third instalment is the first in the franchise to feature only original Lego property and sad to say that it seems to have proven that the charm and parodic concept only work when it features external IP’s such as popular superheroes in the previous films. It might have references to its TV series Lego Ninjago: Masters of Spinjitzu but not many adult like myself would’ve known much about it before watching this film. 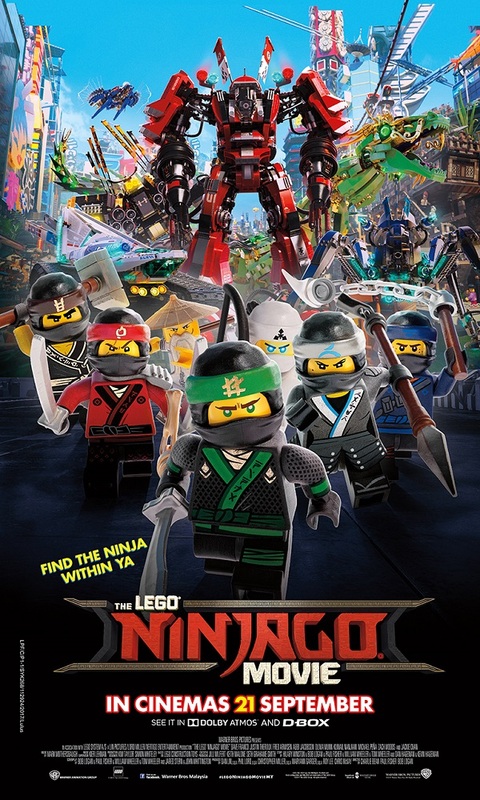 The film starts in live action where a friendless American school kid stumbles into an old Asian antique shop (like in Gremlins and The Forbidden Kingdom and maybe more) where Jackie Chan appears to cheer him up by telling him this uninspiring, generic superhero story which is obviously when the film transitions into the very well animated, colourful, modern world of Lego. Not sure what this live action opening and closing are for apart from showing Chan’s face and little tricks (granted, still impressive to watch). Oh right, to “teach” kids that everyone’s “special”. Hah. The formulaic story is mostly like a mixture of Star Wars‘ daddy issues, the 1995 Power Rangers movie’s journey to find new powers, and old classic martial art films — which were probably the tropes it tries very hard to make fun of but instead becoming one big trope itself. They’re “ninjas” and yet they fight with bloody giant machines and not a single time stealth (isn’t that what ninjas are known for?). 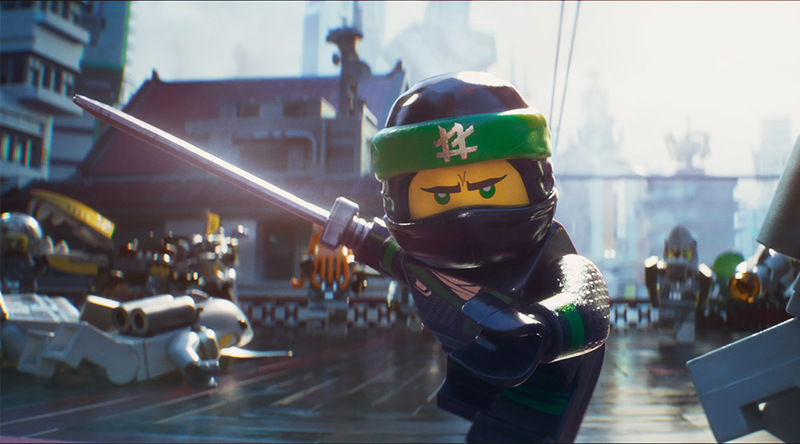 While it is packed with action and probably only slightly less lively than the previous two Lego films, I find myself really bored by the film’s juvenile humour and predictability. I was only able to force myself to sympathetically chuckle twice. The younger audience, however, probably under the age of 12, might have better luck enjoying it. Heck, I can’t even remember what happens in the final act. Malaysian censorship: Quite purely a kids cartoon and rated “U” here. I’d be surprised if anything was cut. Verdict: Almost strictly for kids and existing Ninjago fans only… I guess?